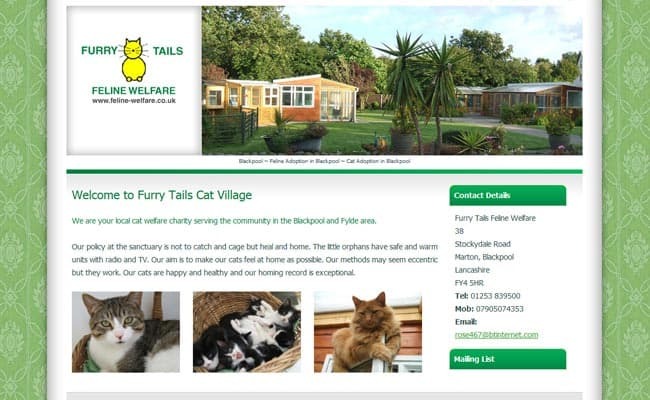 Furry Tails Feline Welfare, Blackpool – We are your local cat welfare charity serving the community in the Blackpool and Fylde area. Our policy at the sanctuary is to heal and home all cats. The little orphans have safe and warm units with radio and TV. Our aim is to make our cats feel at home as possible.